Make your next Charlotte field trip unforgettable with a private charter bus. Instead of taking an old, outdated school bus, your coach from Charlotte Charter Bus Company will come outfitted with modern amenities to keep your trip comfortable. Book with us and see how easy it can be to travel with your school group! Call us today at 704-302-1258 to get started. Your safety is our top priority. Whether you’re traveling with an elementary class or a college fraternity, we want to make sure that everyone arrives to your destination safely and on time. We only work with drivers who have a clean record and who are certified to operate charter buses, so you can relax knowing that you’re in good hands. Coach amenities include on-board restrooms, plush reclining seats, and WiFi to keep all passengers comfortable and entertained. You’ll also enjoy air conditioning and televisions with DVD players, making for an easy journey to your destination. From UNC Charlotte to any other local schools, touring campuses is easy with a minibus. We’ll handle navigation and parking while you explore your new home with your friends, classmates, or family. Keep your team organized on your way to neighboring schools. We’ll make sure your bus is outfitted with lots of storage space so you can securely keep all of your equipment and luggage on board. Athletes can relax with extra legroom and comfortable reclining seats on the way to the game. Our agents are always available to take your call and schedule your perfect bus rental. 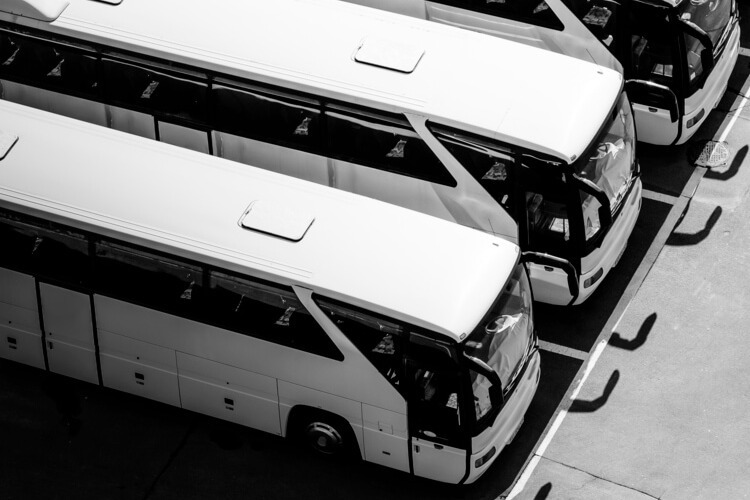 Whether you’re in search of a minibus or a full-sized coach, rely on us to make it easy to travel with students, athletes, classmates, or colleagues to all school events! Call us at 704-302-1258 to get started.